As part of the Obama Administration’s all-of-the-above energy strategy to speed the transition to more sustainable sources of energy, the Energy Department today issued a new funding opportunity announcement to help U.S. industry design and certify innovative small modular nuclear reactors (SMRs). 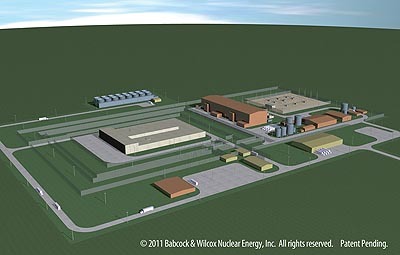 Building off the cost-share agreement announced in November 2012, this follow-on solicitation is open to other companies and manufacturers and is focused on furthering small modular reactor efficiency, operations and design. The Energy Department will solicit proposals for cost-shared small modular reactor projects that have the potential to be licensed by the Nuclear Regulatory Commission and achieve commercial operation around 2025, while offering innovative and effective solutions for enhanced safety, operations and performance. Selected projects will span a five-year period with at least 50 percent provided by private industry. 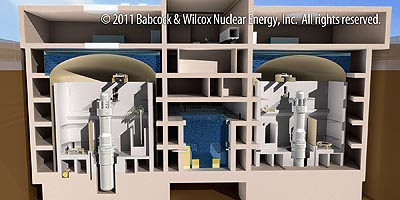 Subject to congressional appropriations, federal funding for this solicitation and the project announced last year will be derived from the total $452 million identified for the Department’s Small Modular Reactor Licensing Technical Support program. Small modular reactors – which are approximately one-third the size of current nuclear power plants – have compact, scalable designs that are expected to offer a host of safety, construction and economic benefits. The Energy Department is seeking 300 megawatts or smaller reactor designs that can be made in factories and transported to sites where they would be ready to “plug and play” upon arrival. The smaller size reduces both capital costs and construction times and also makes these reactors ideal for small electric grids and for locations that cannot support large reactors. Find more information on the funding opportunity announced today at Grants.gov.